Ooh I do like this one. Rugs with geometric patterns and cut out edging. I've also seen this popping up with a few other retailers, so you know what that means... It's a trend! I'll let you in on a little secret, but don't tell anyone! When I worked on the SS'15 shoot for a very well known retailer guess what they were also all up on? Yep, botanicals. Think scenes of lush greenery, tropical plants and birds, insects and more. Full of colour, intricate, and pretty flippin cool I think. 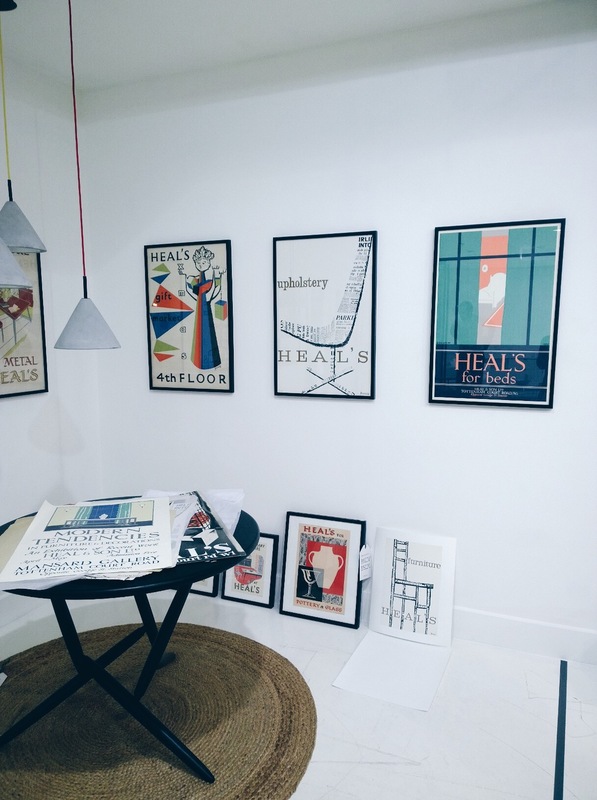 Heal's do it very well. Heal's have commissioned a new set of exclusive artists to design fabric and artwork which is then magnified, with the pattern then replicated across a range of homewares, from serving trays to plates and cushions. I really liked how specific details have been pulled from the original pieces and interpreted by Heal's makers to create pieces that are nicely similar, but with their own flair. A nice little touch if you ask me, and something that could be replicated in your home. How about pulling a sectioned of detail from your favourite piece of artwork or fabric and building a room around it? Could be cool, don't you think? Would you have guessed it?! It's only Ibiza style bright white. I don't know what to make of this. I see its beauty in certain settings but I just can't see the practicalities or reality of this look. God, I sound like my oh-so-logical-and-practical husband! It just all seems a bit too photoshoot pristine. Looking at the pieces individually though, I loved the sideboard detailing and as you can see marble is still kicking about in the form of marble effect wallpaper and side table tops. It might be a bit played out but I do enjoy it! A favourite look of mine. Italian style retro brass light fittings, echoing the Stilnovo's and Sciolari's of the past. This look has been on trend for a while now and it ain't going anywhere! You can safely invest in this look without the fear of it going out of trend just yet. And even when / if it does, who cares?! I LOVE IT! Heal's have put together a collection of new fragrances inspired by different types of woods, which are then blended with more floral or fragrant counterparts. After the warm, citrusy notes of last years candles I'm enjoying something with real depth. The Earl Grey and Birch is amaaaaazing. Added to my 'to buy' list. Would make a great gift for a friend too. Maybe that friend is me?! So that's the run down of Heal's predicted trends. But it didn't end there as they also had some pretty cool bits and bobs that I couldn't leave out. 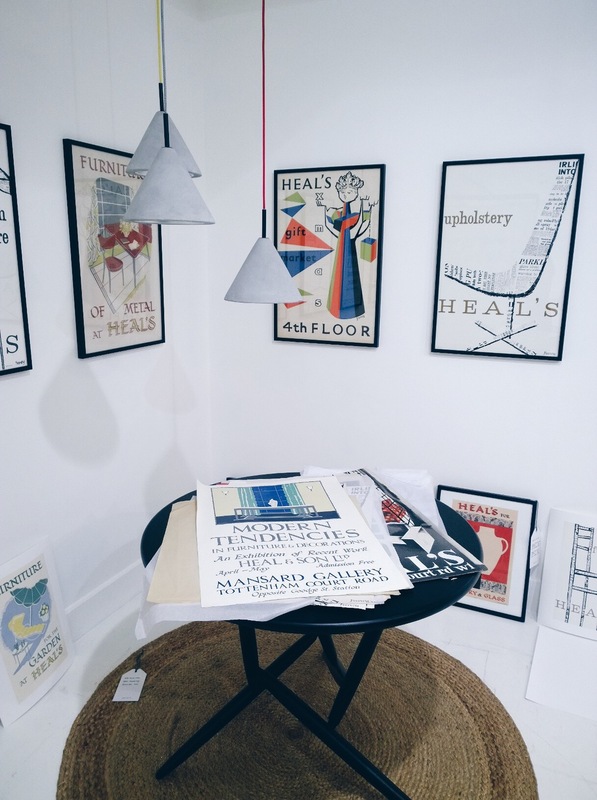 Firstly these beautiful reproductions of original Heal's advertisements that were discovered in a storage cubby when they restored the grand staircase. I had to do all I could to resist putting one of these originals up my jumper and making a run for it. I mean, what a find! 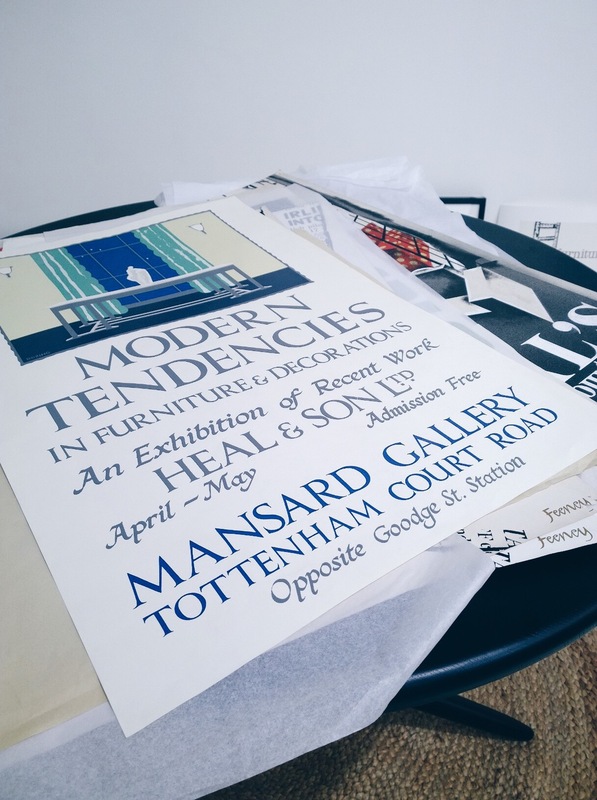 They also had some live screen printing, wood carving and stamping happening with the original Heal's embossing stamp, which was very beautiful. Again a nice little nod to their rich history as one of London's first furniture retailers. I got myself a little screen printed notebook which I'll be using to jot down design ideas. Then I had to run to head over to my design meeting with my new client. Not before snapping a picture of the carefully and beautifully restored original grand staircase, and the ever famous Heal's cat who looks over the staircase. Whaddup pussycat?! What are your predictions for Spring Summer 15? Is copper here to stay? Will marble last the distance? Will the craze for pineapples and palm prints ever stop? !